SIOUX FALLS, S.D. 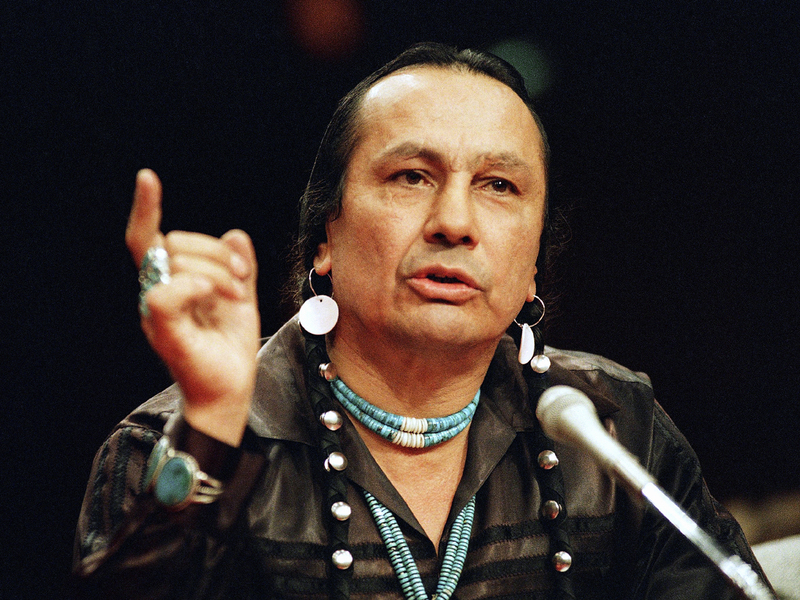 Russell Means, a former American Indian Movement activist who helped lead the 1973 uprising at Wounded Knee, reveled in stirring up attention and appeared in several Hollywood films, has died. He was 72. Means died early Monday at his ranch in Porcupine, S.D., Oglala Sioux Tribe spokeswoman Donna Solomon said. Means, a Wanblee native who grew up in the San Francisco area, announced in August 2011 that he had developed inoperable throat cancer. He told The Associated Press he was forgoing mainstream medical treatments in favor of traditional American Indian remedies and alternative treatments away from his home on the Pine Ridge Indian Reservation. Means was an early leader of AIM and led its armed occupation of the South Dakota town of Wounded Knee, a 71-day siege that included several gunbattles with federal officers. He was often embroiled in controversy, partly because of AIM's alleged involvement in the 1975 slaying of Annie Mae Aquash. But Means was also known for his role in the movie "The Last of the Mohicans" and had run unsuccessfully for the Libertarian nomination for president in 1988. Authorities believe three AIM members shot and killed Aquash on the Pine Ridge reservation on the orders of someone in AIM's leadership because they suspected she was an FBI informant. Two activists  Arlo Looking Cloud and John Graham  were both eventually convicted of murder. The third has never been charged.